Get the game in stores now! The grand daddy of all racing has finally delivered its latest game. 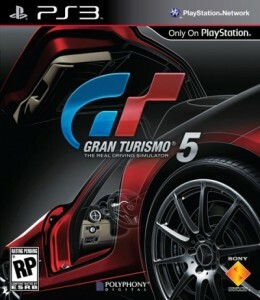 After all the hype surrounding release dates and the teaser Gran Turismo 5 prologue gave us, I think it is time to see if GT5 is EPIC or a flop. It’s quite an expansive undertaking considering it has the most cars and tracks than any other racing game today; over 1000 cars and about 70 tracks. Anything but a blu-ray disc would need three discs to play. Well, lets jump right in. 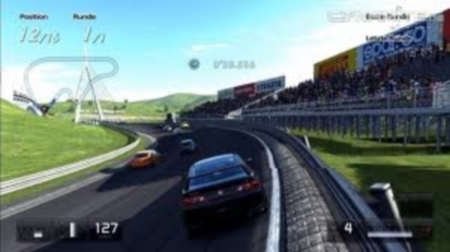 If you happened to play GT5 prologue then you essentially played GT5. That being said, the gameplay should be great when you put 4+ years into it, and it is. Where do I start? Well, when you first jump into the main menu there are a few modes to start with. GT mode, arcade mode, and GT TV are the important ones. Arcade mode is just like it sounds. This is also where the split screen play is located. Pick a mode, pick a track, pick a car, and off you go. Single race and Time trial are a few examples of modes. GT mode is where you will spend most of your time. Otherwise called My GT, this has the familiar GT formula. Buy cars, race cars, sell cars, tune cars, learn to drive cars, and more about cars. Get the point yet? No? Ok I will explain a little bit more for those of you who are new to the process.When you buy a car, usually it is for a particular event. For example you buy a 1970 Chevelle SS for the muscle car challenge. You can then go to the tuning shop to tune it up if you decide. These tunings are not too advanced, like buying a better engine to get better performance. Once you are finished you are ready to race, every single car handles differently. They are very accurate to the real life model too. Muscle cars want to drift and slide at high speeds, while Ferrari type cars are precise and like to zip around. Unfortunately, they aren’t too realistic though, Polyphony Digital put just enough arcade action into it to make it fun to play. You do not notice too much of a difference between a tuned car and that same car stock right off the lot. It is a small blemish on this game though. I found no glitches or bugs at all that affected the gameplay. One thing that is quite weird, sometimes you could enter cars that shouldn’t be accepted in race because of class. 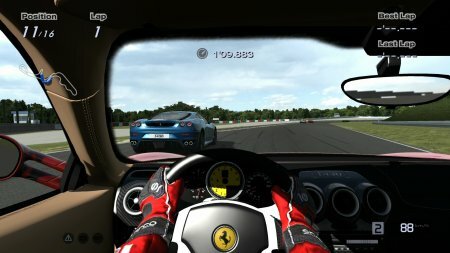 To clear it up for you, I entered my Ford GT in a European hatchback race. Sure it was fun leaving them in the dust but not very challenging because the race was meant for me to drive a European hatchback. This isn’t the same with every challenge but it is very odd to say the least. Load times aren’t a pain but they can be quite long, you can choose to do an install but it takes a whopping 8GB and takes about an hour. It also lies to you when it says it will be done in 15 secs be prepared for a 15 min wait. Players can also race online with up to 16 players through Playstation Network (PSN) feature which was quite enjoyable and very challenging. What is also great was the ability to transfer my cars that I had unlocked in Gran Turismo PSP into my own Garage in Gran Turismo 5 – all that hard work really payed off. 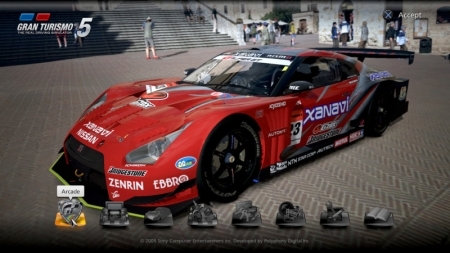 GT5 looks like what other simulation racers should aspire too. If it got any more real than this, you would be inside the car yourself. Every car and track looks as accurately detailed as the real life version. The result of a longer time in production, is a better game. It is very stunning. Most cars’ insides were fleshed out also so you could drive right behind the steering wheel. Some did not have a detailed inside so you could not be in the drivers seat. Not something that is a big turn off since most people use the behind the car camera but it is something to point out. Some things like, for example, the back or front lights of cars look flat. It is hard not to notice, one big detail they did miss is the damage in the game – it looks very wacky or doesn’t even look like it is there. I am driving a Mclaren F1 and I crash right into a wall 150 mph, only the bumper looks a little cocked. In a Chevelle SS, it looks like its sitting in front of a wacky mirror you see in the carnivals and such. The car is stretched out looking very odd. I could not find an option that turned up the simulation factor so I assumed it was unchangeable and default. Damage is part of simulation driving and when it isn’t apparent or it is not done right like in Gran Turimso 5, it really makes you wonder what Polyphony Digital was doing all this time. I hear patches are incoming to work on the damage but it really shouldn’t take this long of a time period to make an awesome game and leave major stuff out, especially with all the backing of Sony Computer Entertainment. It is only an opinion and it may be I haven’t found the option like once said. The audio on the other hand is 100 percent certifiably cool. Just like the visual dynamics of the cars, every car sounds different. Out of more than 1000 cars, that is a totally amazing feat. That must of been the bulk of time testing each engine and implementing each one of them into the game. I know I keep coming back to the Chevelle SS but it is a cool car. I drive it stock and it already sounds mean enough but, with a 3rd stage engine, high performance exhaust, and 5 speed gears, almost 60,00 in GT credits, the car sounded like it was going to eat somebody. Not a bad feat indeed. The music is far better and more varied than prologue. It actually sounds like something I could drive to or you would hear at a swanky car convention. It may repeat often or the same song is attached to something you do but the tunes aren‘t bad. I do not know where they got the music but I want a soundtrack. I am not lying it is cool stuff. Is it worth the money? 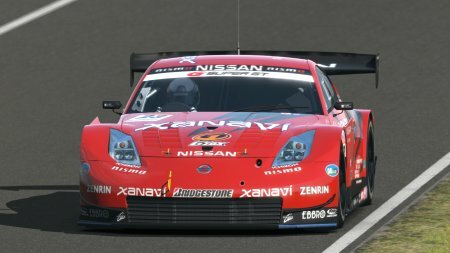 Of course – GT5 is truly an amazing experience packed with spectatular courses and hundreds of cars which look and feel just like the real ones. Was it worth the wait? Well I have to think on that one. Polyphony Digital put so much into the game, I am surprised that the 50GB disc was able to hold it all, but also it doesn’t seem like they put enough into it at the same time. Essential things like damage modelling is a huge let down to all the fans out there. Also the whole mess about the release date didn’t allow time for the hype machine to spit out craziness so, even as I am writing this, many do not know it is even out. Why even complain though. It is Gran Turismo 5 folks – it’s finally here -lets have a beer to celebrate (Only if your old enough) then play some GT5.